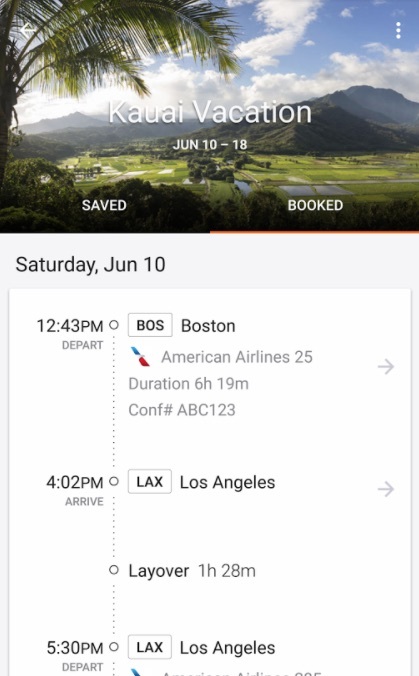 TL;DR: After a while with TripIt, I’m now using Kayak Trips, and I’m happy with it. TripIt is an historical player in this field, I’ve used it for a couple of years, but I left the service after several failed imports of travel plans (Trenitalia, Easyjet) and wrong timezones for the imported ones. Recently the mobile app has been revamped, but the issues with importing data persists and the majority of the webapp has the same very old UI. On the other side, thanks to the Pro account, I’ve received punctual notification on flight schedules changes, gates etc even before the displays at the airport showed them, and I’m part of a team with all of my colleagues, so we’re alerted each other if we’re nearby and I can check their travel calendar. 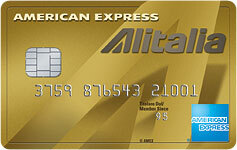 Full list of features can be found here. Worldmate was one of the first alternatives I tested. It has rarely failed to import my emails and it was the only service able to parse coach and seat number of train reservations. It met all my requirements in the free version, except the calendar option, available only for premium accounts. It also offers a connection feature with LinkedIn, alerting when crossing paths with your contacts. I was not impressed by the web and mobile UI and it’s impossible to split / merge trips. Another cool feature offered is an API for parsing travel itinerary information from confirmation emails. They were acquired by Carlson Wagonlit family in 2012 and full features list is here. 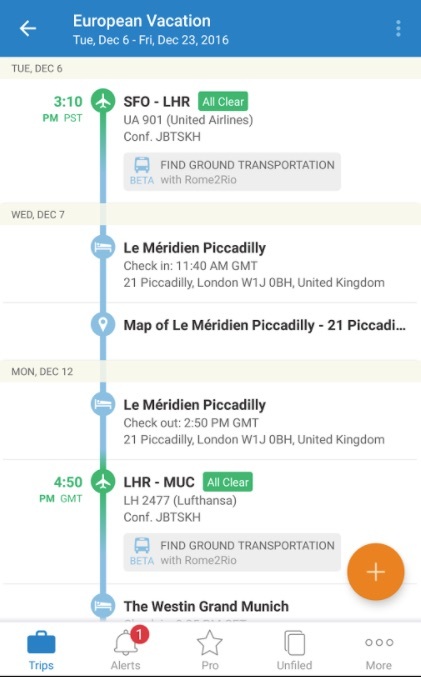 Tripcase uses Worldmate API to parse travel itinerary, but from tests I’ve done sending the same confirmation emails to both services, Tripcase adds less detail to the final trip itineraries: for example, train coach and seat are missing. I don’t know if the API returns less info or Tripcase discards some of them. From a UX / UI point of view, it is much better that Worldmate. The only issues I’ve found so far is the creation of separate trips for confirmation emails that refers to same dates and destinations, for example a flight and an hotel, even if a specific option should prevent that. They could be merged later on web app, but it’s annoying. 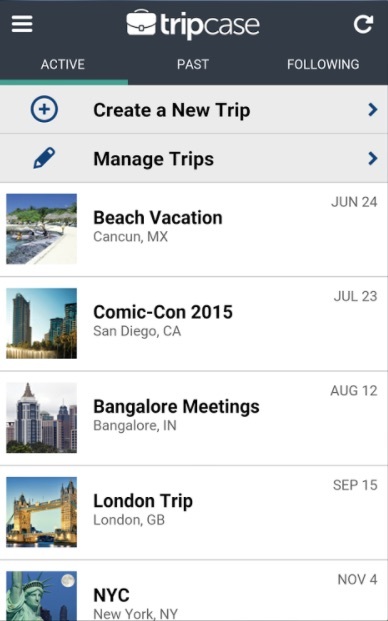 Calendar appointments are created, but only for the trip elements, while I generally prefer to also have an all-day event for the whole length of the trip. 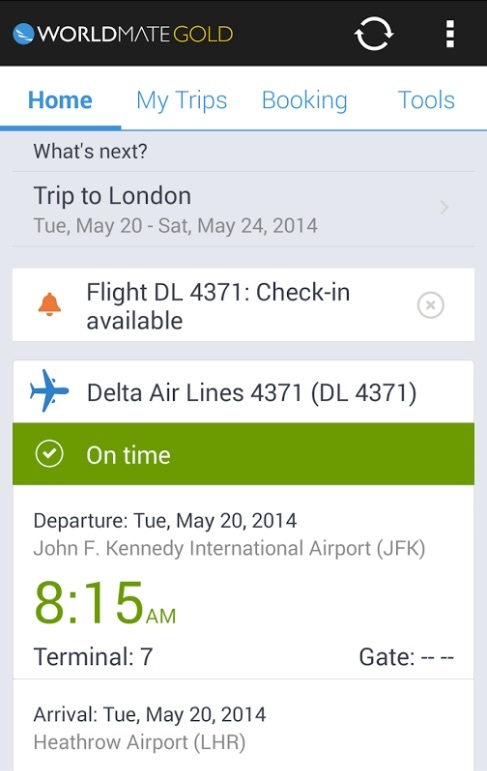 One cool feature app offers is reminders for missing hotel reservations in the itinerary, while full list is here. Kayak Trips: Kayak has always succeeded to import confirmation emails for hotel, flights or train I’ve booked in Europe and USA, and it mets all my requirements with satisfaction. Another unique factor to consider is the Kayak business model: Kayak is a travel search company and the app is a commodity to drive more bookings, so there is no premium version and the app could be maintained even if it’s not profitable by itself. Flip side is the total lack of integration with the additional travel services the other reviews apps offer, like LoungeBuddy, Mozio and many more. 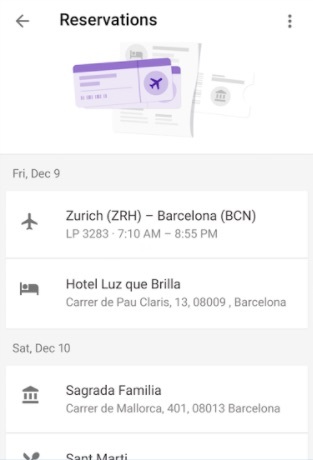 Google Trips: latest comer to the party, the UX/UI of the app is great, everything is create automagically from inbox emails and there is a strong support for offline features, well integrated with other Google properties. Unfortunately, a Gmail account is required and there is no way to manually add/modify a segment of a trip, or choose a different splitting for them. Disclaimer: there are lot of more features these apps have (booking hotels / flights / cars, integration with third party services, tracking of loyalty program points and much more), and the presence or lack of some of them could greatly influence personal choices.